Alternative Armies: 54050 Valon Civilians by Christian Cuello released! 54050 Valon Civilians by Christian Cuello released! Flintloque players went slightly bonkers over Mr Cuello's last miniature 56131 Ludwig Von Barkhoven in 2014 with hundreds of castings of it winging around the world when it released and way more when it went out free as an offer too. After that success five more civilians for use with Flintloque were created and now they are on general release. Five diverse characters with a lot of potential uses which could be fitting in to any number of collections and scenarios. I can see them being many things and I think this was Mr Cuello's idea as well. There are some civilians in our range but certainly there is room for many more too. Go HERE. A Dogman in civilian costume with Tricorne Hat and Blunderbuss which stands 30mm tall. A brave fellow Hanz Stammerhunde used to be a country gentledog until the war with Pudigrochumberg rolled across his small estate and ruined it. Now Hanz has no choice but to be a highway robber and rascal and while he attempts to be harm innocents he is no stanger to danger. At home in Ostaria or the Confederation of Finklestein. An Orc in civilian costume with buttoned up coat and Tricorne Hat which stands 30mm tall. A shady chap Bernurd Muscksorc is a wanted Orc. He used to work in the stamping works of the Banke of Albion until the lure of coin took his mind. Making off with two sacks of groats he is now in hiding from the Bone Streete Rumblers. His presentable appearance is his best asset but how long will he avoid the noose? Many uses both urban and rural but in Londinium or Wheeling-Turns Camp in Catalucia you could use him. An Orc in civilian costume with the look of a miner or other manual worker which stands 28mm tall. Alf Graxley wears a flat cap and has a knife in hand and he is an honest Orc. He used to be a thug and leg breaker in Skarkills Trade Onion but now he has gone back to work in the barrel cellar of the Pixie's Rear a pub in Cheapestsides in Londinium. His accent often gets him into scrapes as he is from Yorcshire but he holds his own. Many uses in scenarios. A Dwarf in civilian costume which stands 22mm tall. Otto Von Slacken is a lumber jack (Wood Cutter) who carries an Axe and is wearing a fur trimmed cloak and sock cap. In the rough and tumble of Kartoffelburg the daily trades continue despite the carnage and war in the region and this Dwarf fells trees and then sells fire wood as he travels around. He has great knowledge of the region and is willing to act as a guide for those soldiers who lose their way..for a price. A Gnome in well fitted civilian costume wearing spectacles with his hand behind his back he stands 18mm tall. Nico Ebayrisold is from the Swizzic Republique like the rest of his kind his passion is counting and banking. With a mind that is as fast as Mr Babborcs Differecing Engine he is currently in Catalucia assisting Wheeling-Turn in the accounts for the Army of Albion. He would make an excellent scenario objective or assistant to any Army or perhaps a wealthy merchant with a personal bodyguard. Our first Gnome of Zoorik in the miniature range. This pack contains five different 28mm white metal miniatures for use in Flintloque or any other fantasy system. A Dogman armed with Blunderbuss, an Orc in Tricorne, an Orc with knife, a Dwarf carrying an Axe and a Gnome wearing spectacles. Five civilians with many different scenario uses. This code can be purchased as a pack or as single miniatures from the pack in a choice in the on page drop down menu. You can also purchase the pack and singles pro-painted and based by selecting those options in the drop down menu. Go HERE. If you have not seen Barkhoven then you can go to our website HERE. There is a free download character sheet for him too which is on these links. 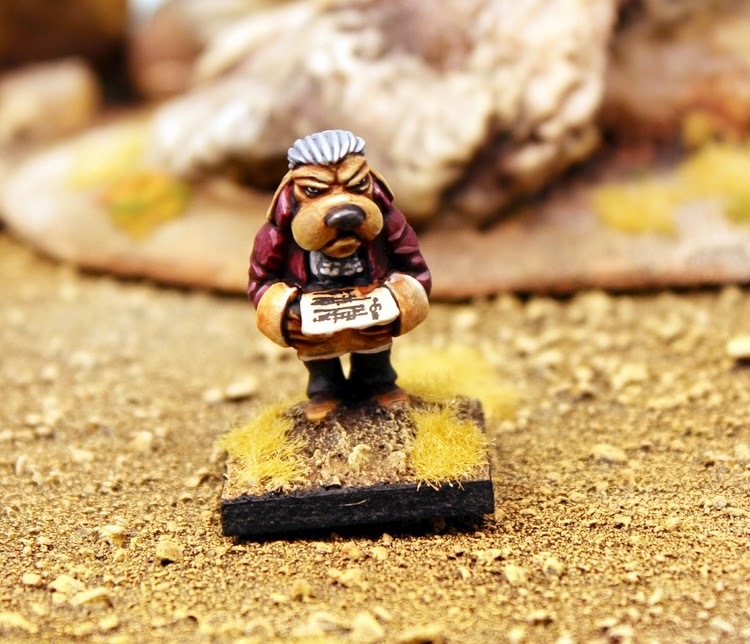 Its a rock and roll period for fans of Alternative Armies and especially Flintloque and Slaughterloo with many new releases as well as offers and much excellence being put up on our Notables Yahoo Group. 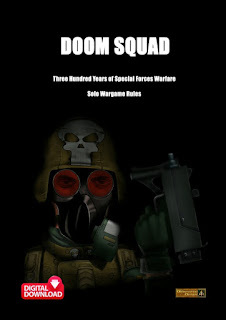 Its well worth joining this Yahoo Group and while you must apply to join this is just a formality and I will sign you in where you can pull up a virtual armchair and talk about our games and miniatures. Here is the link: Notables Group. Thanks Rob. Glad you like them and the new resin version Trolka. Gnomes and plus other things. Valon is a very large and deep world. Thanks Phil. Glad you like them. They look fantastic! Can't wait to see the casts! Thanks Romi. Orders are shipping out from Tuesday once the Easter break is over.